LONG BEACH, Calif. -- Four families received the keys to their new homes in Long Beach. 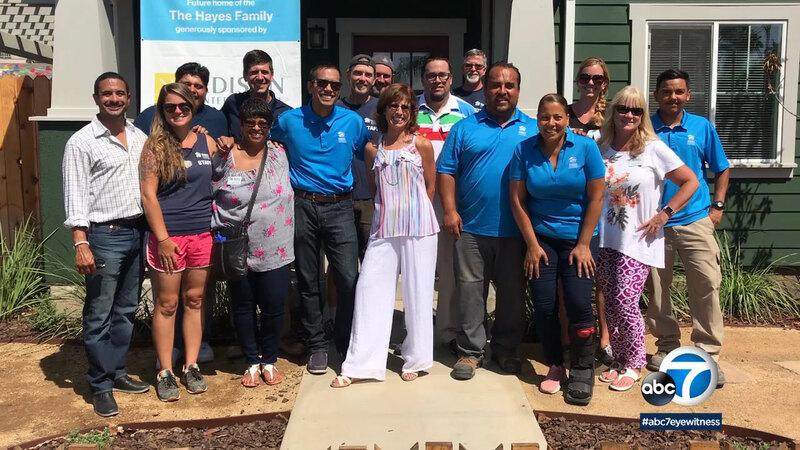 Habitat for Humanity held a dedication ceremony for the new homeowners in the Washington neighborhood. The land for the homes was donated by the city of Long Beach in 2016. Since then, volunteers and the families have been building the homes. As part of the deal, the families also agreed to put in 500 hours of what Habitat calls sweat equity into building these and other homes. Habitat provides for low cost mortgages and uses the money to fund other projects. Habitat has committed to building 50 homes and repairing an additional 50 in the same neighborhood.